This project is seeking to reveal how humans are exposed to environmental reservoirs of antibiotic resistant organisms. Previous work by Dr William Gaze has demonstrated that the natural environment can act as a reservoir of previously unknown antibiotic resistant genes. By cloning DNA into antibiotic susceptible E. coli, research has demonstrated that novel genes from the environment can confer resistance to some of our most important antibiotics. In collaboration with the Environment Agency, the team have screened bathing water from beaches across England and Wales to assess the risk of exposure to resistant bacteria faced by swimmers, surfers and other beach users. 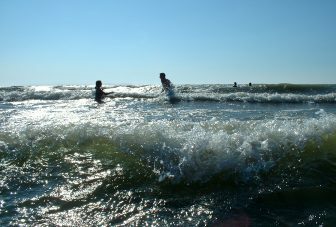 Preliminary results have confirmed that England’s bathing waters can contain significant numbers of bacteria carrying clinically important antibiotic resistance genes.